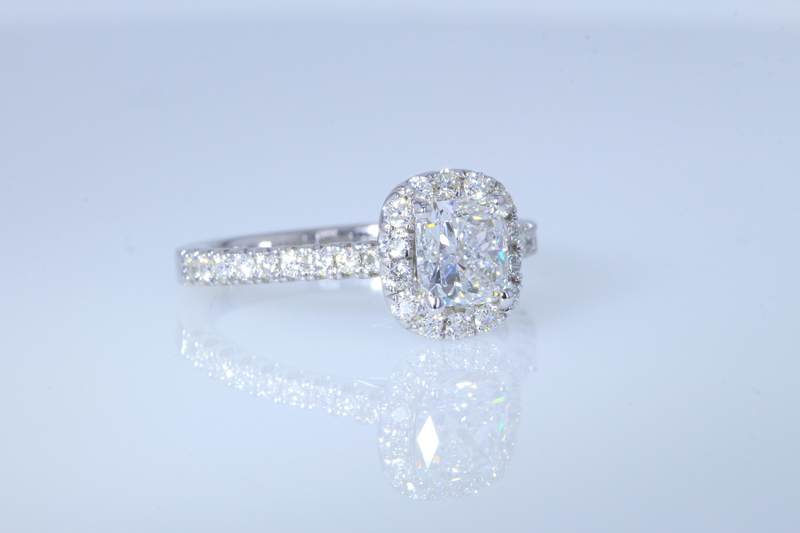 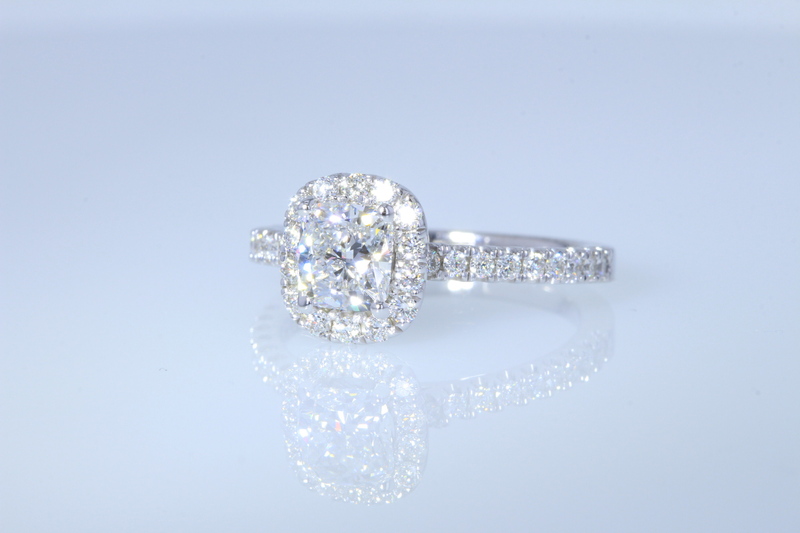 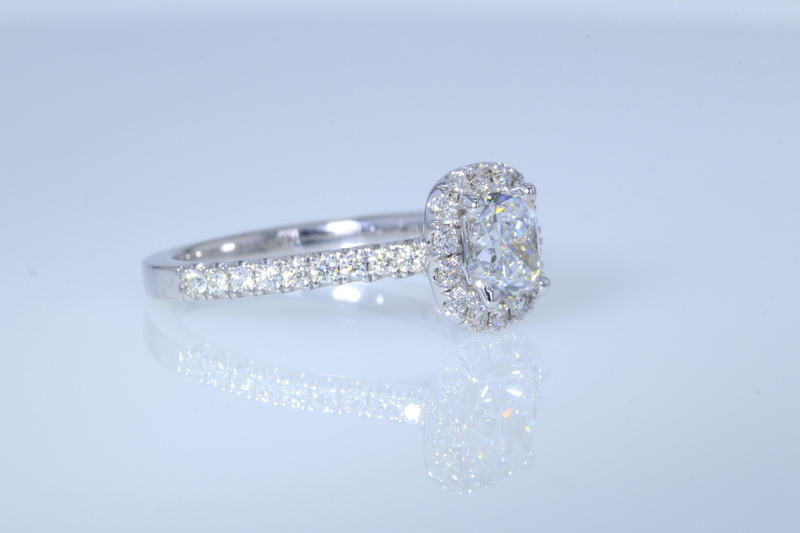 1.01CT Cushion diamond with rarest D colorless color and 100% eye clean SI1 clarity and comes with GIA lab certification. 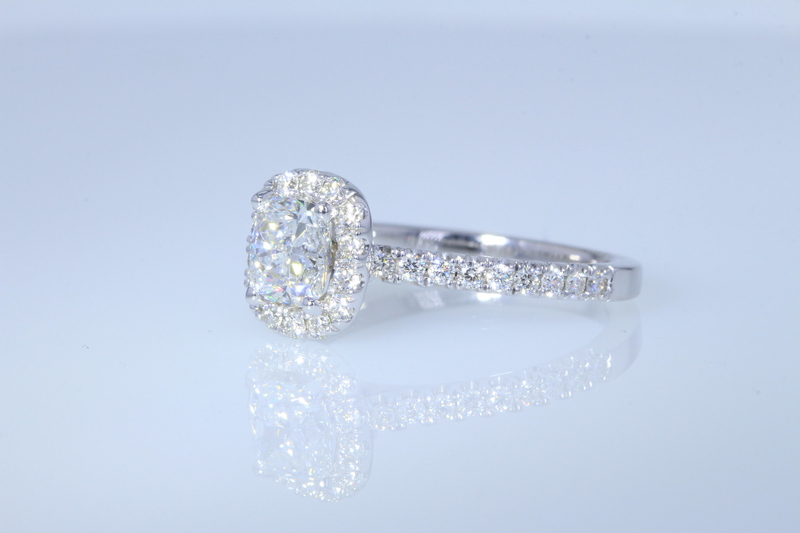 The diamond has an amazing make and pops like a fire cracker! 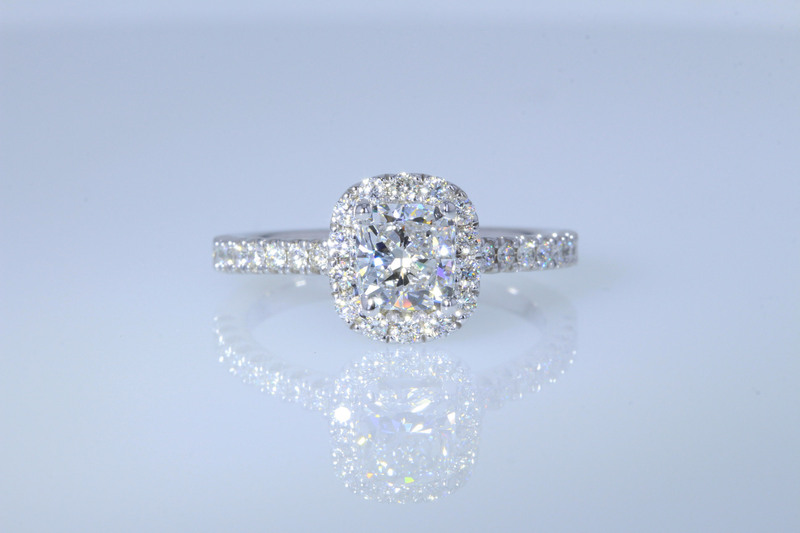 Diamond was just set in this brand new 14kt white gold halo setting with another 1/2CT of full cut round brilliant diamonds for a total carat weight of 1.51CT.